ridicully | This and that and ... who cares it's an entry! This and that and ... who cares it's an entry! This is a thing of beauty: Berliner? Pfannkuchen? Palatschinken??? 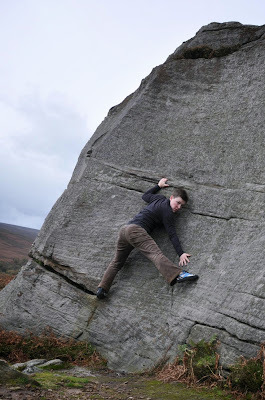 I went bouldering in Yorkshire before this year's work congress. Being all on my own, a 15 minute walk from my car with no mobile reception I, for once, heeded common sense and did not try any hard moves. Then I went to said congress. And it's yearly dress up dinner. 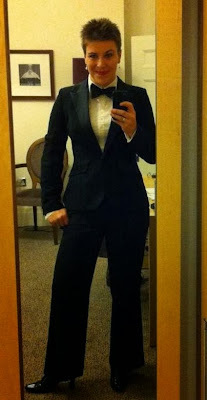 This year it wasn't fancy dress but black tie. Boring. But now I know how to tie a bow tie. Useful? Probably not so much. Pretty. Like a cross between the Doctor and 007. I wasn't impressed by the amount of guys wearing clip on bow ties. And you really rock that Fliege! Bow tie? And yep, Fliege, Manschettenknöpfe und Lackschuhe. Das volle Program! And wow! for your bouldering - looks like lots of fun! O.o the amount of work involved in making enough Crêpes for a whole class of children boggles the mind. The look on her face must have been priceless. Bouldering is a lot of fun. And doesn't require a second person to belay - which is sometimes a deciding factor on what kind of climbing I'm going to do on any given day.